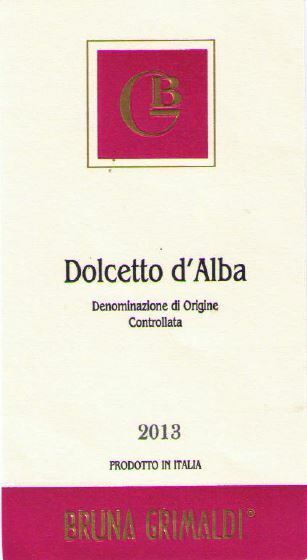 Dolcetto is among the most popular Piedmontese wines that are ready-to-drink. The perfumes reveal notes of fruit, especially cherry, while the taste is fresh, vinous and fruity. The structure is balanced and full-bodied. It is produced from the grapes of the vineyards located in Grinzane Cavour, in cru San Martino, with a south-western exposure; the vines are particularly old and therefore yield high quality grapes.